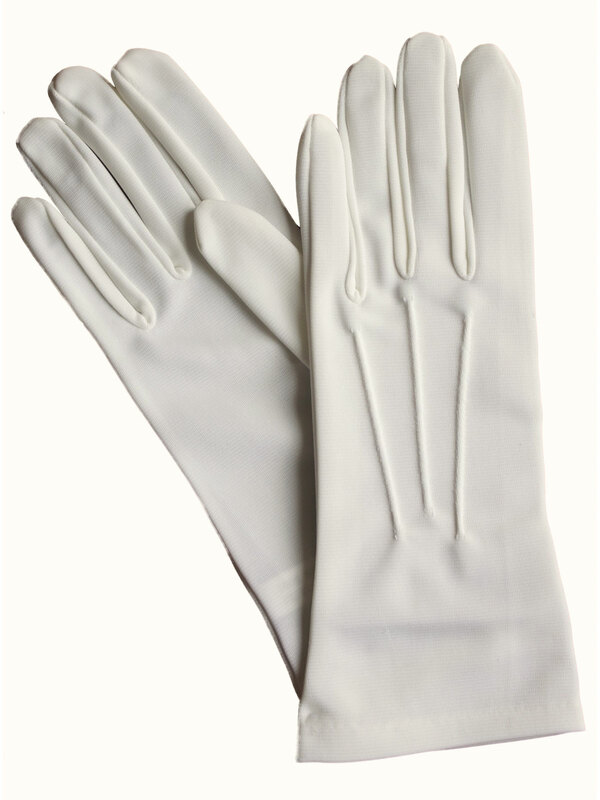 Lovely fine quality short satin dress gloves by Dents in a classic design, made in stretch satin that has a subtle sheen. These are perfect to complete your outfit whether it’s for formal wear or fun, e.g. evening, burlesque, vintage, retro, wedding. Available in black, ecru cream and sable. Please note: These gloves are only available in a large size. 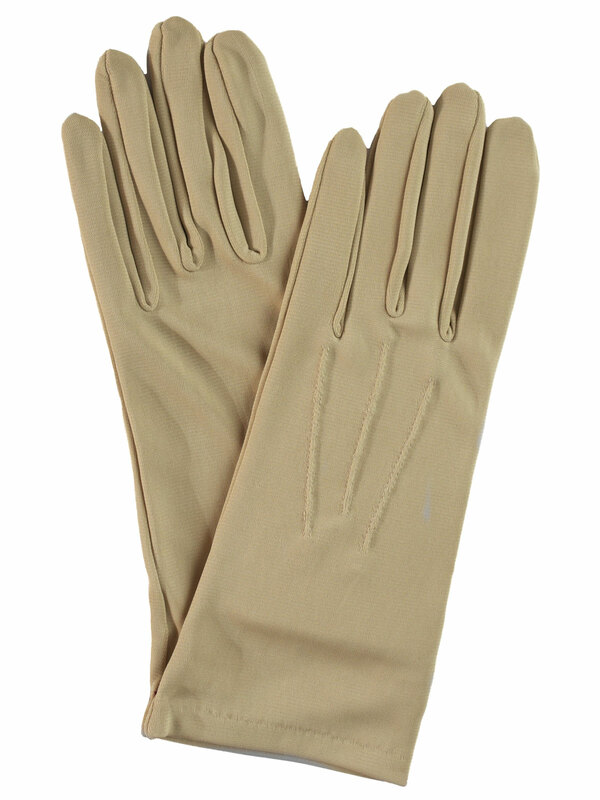 Lovely fine quality short satin dress gloves by Dents. They are crafted in a simple classic design and will be a perfect elegant addition to your outfit, whether it’s for formal wear or fun, whether you want a vintage or a more contemporary look. Measure around the palm, in inches, of the hand you write with (excluding thumb). This is your palm circumference. If you are between 0.5in measurements, round up to the next 0.5in, e.g. if this measurement is 7.25in, then your glove size is 7.5in. Elegant short satin dress gloves by Dents in a classic plain style with a ruffle cuff - perfect for special occasion wear, whether you want a vintage or a more contemporary look for your outfit. 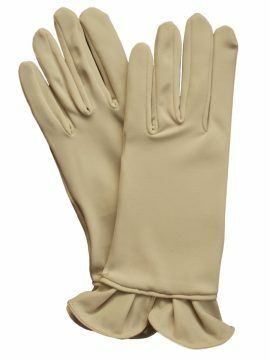 These dress gloves are made in beautifully soft stretch satin that has a matt, not shiny, finish which gives them an added touch of class. Hand wash. 'One Size Fits Most'. Available in black, navy and shantung. Dents - crafting the world's finest gloves since 1777, developing a 'secret fit' and comfort which is their hallmark. Please see our Product Description below for full details and important sizing information. 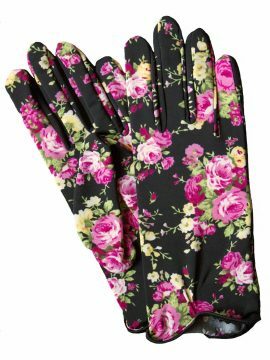 Very pretty, eye-catching floral print short dress gloves by Dents in fine quality light stretch fabric. 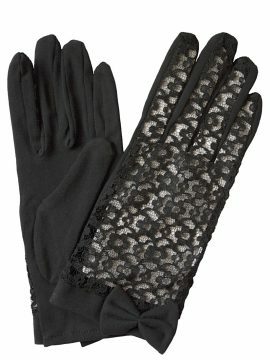 The gloves have a black background with a colourful floral pattern. Great for vintage or more modern outfits. 'One Size Fits Most' Please see our Product Description below for full details and important sizing information. 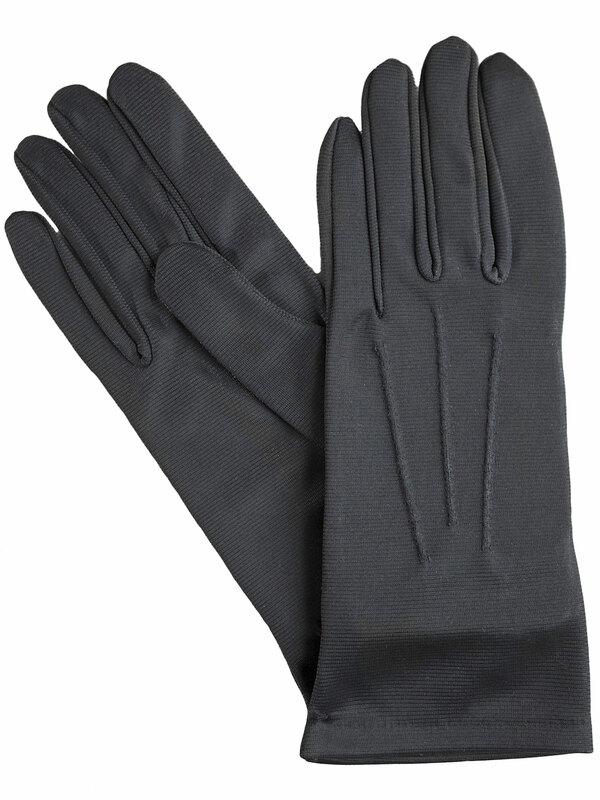 Lovely fine quality short dress gloves by Dents. They are perfect for vintage, retro or more modern outfits as occasions such as weddings or for less formal wear. They feature a pretty lace fabric on the back and a plain stretch cotton palm and cuff with bow. 'One Size Fits Most'. Available in black. Please see our Product Description below for full details and important sizing information. (RRP £69.99). 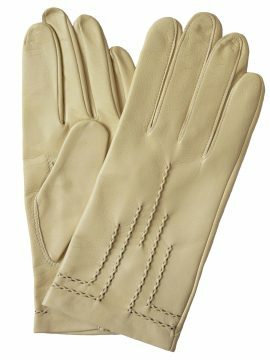 A touch of luxury - elegant and light leather dress gloves from Dents in delicate pastel shades that are just perfect for spring or even summer outfits, whether they are for day or evening wear, for vintage, 1920s/1950s retro or more modern styles. They are made from finest hairsheep leather that is 'butter soft' and smooth and are unlined. There are lines of raised stitching on the back of the gloves in an 'Art-Deco' style and there is a short vent at the wrist on the inside. Please see our Product Description below for full details and important sizing information.